The day intends to raise awareness about the global extent of child labour and the action and efforts needed to eliminate it. The recent global estimates put forward that 120 million children between the ages of 5 and 14 are involved in child labour. The first World Day Against Child Labour was launched by International Labour Organization (ILO) in 2002 as a way for highlighting the plight of these children. The day provides an opportunity to gain support from governments, civil society, schools, youth and women’s groups as well as the media, in the campaign against child labour. 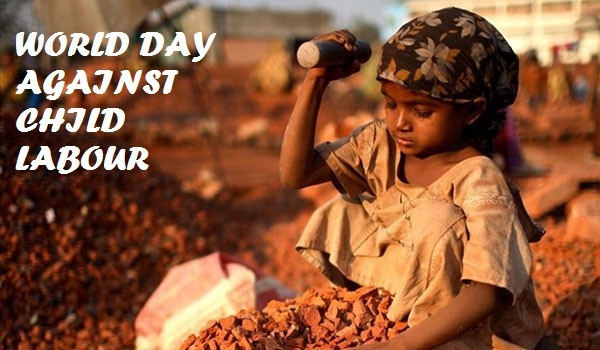 WHAT DO PEOPLE DO ON WORLD DAY AGAINST CHILD LABOUR? Check the age of your employees. Stop hiring children below the minimum age.